This is a version of one of Martha Stewart's many takes on a classic. 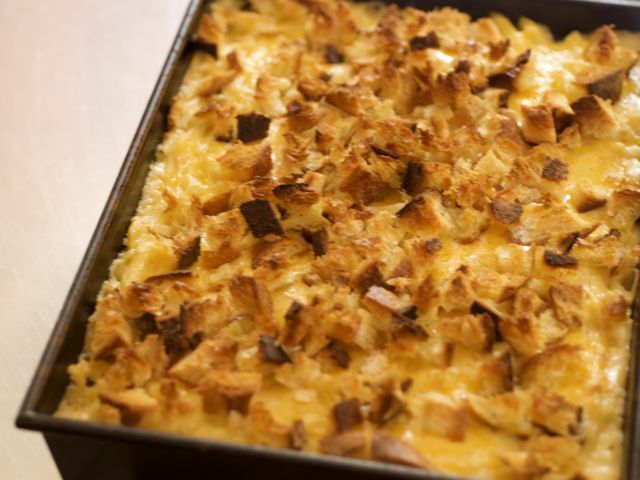 You can easily divide this recipe in half; use a 1 1/2-quart casserole dish instead. Preheat oven to 375 degrees. Butter a 3-quart casserole dish; set aside. Place bread in a medium bowl. In a small saucepan over medium heat, melt 2 tablespoons butter. Pour butter into bowl with bread, and toss. Set breadcrumbs aside. Remove pan from heat. Stir in salt, nutmeg, black pepper, cayenne pepper, 3 cups cheddar cheese, and 1½ cups Gruyère or 1 cup Pecorino Romano; set cheese sauce aside. Pour mixture into prepared dish. 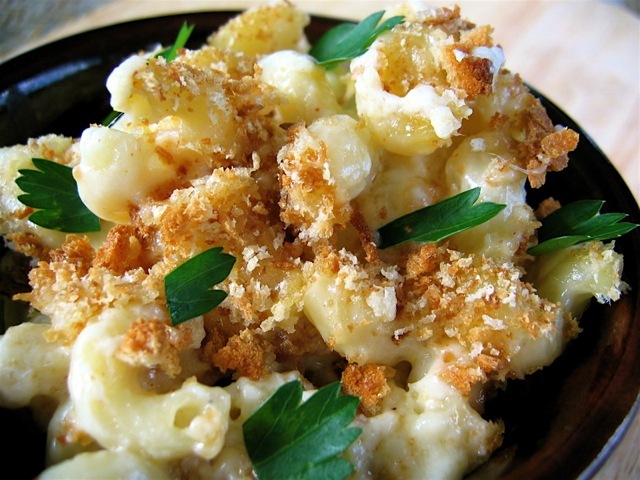 Sprinkle remaining 1½ cups cheddar cheese, ½ cup Gruyère or ¼ cup Pecorino Romano, and breadcrumbs over top. Bake until browned on top, about 30 minutes. Transfer dish to a wire rack to cool 5 minutes; serve hot.